If by any case, after you've make a floppy disks notepad, a greeting card and a floppy disk pen holder, you still have extra floppy disks you need to recycle, here's a nice idea for you: a cool looking floppy disks lamp. 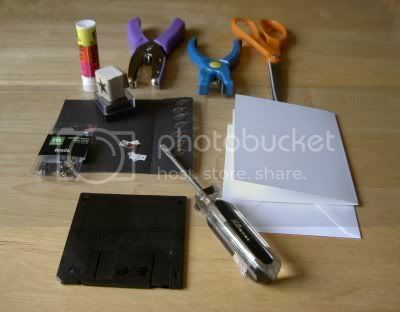 There are plenty of creative ways to reuse your floppy disk and I will never grow tired of looking for more! 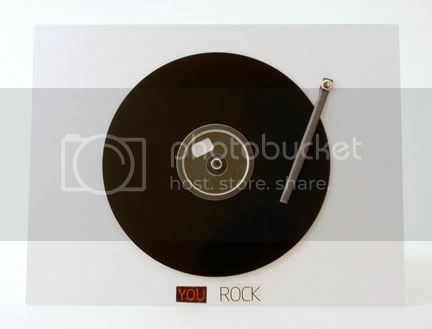 This guide is about making a nice greeting card which says "You Rock!" 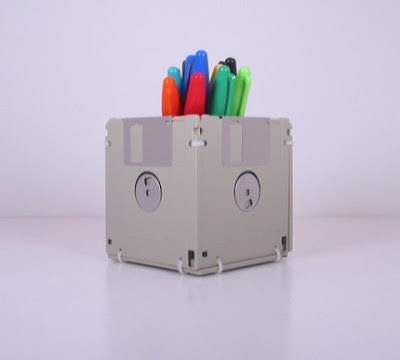 Here's a great way to recycle your no-more-usable floppy disks: make a pen holder using them (if you still use a pen and a pencil of course). Simple, usable and awesome - just what we love! Remember it seemed so cool to have a colorful floppy disk instead of a dull black-and-white one. 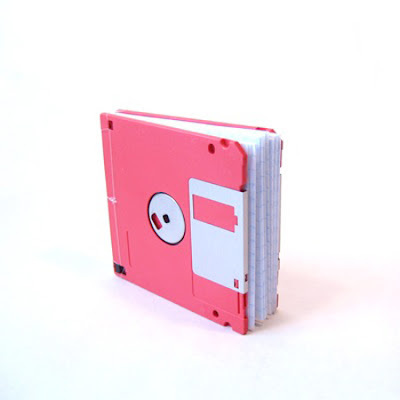 Why not to make use of those now-unwanted pieces from the past - create a notepad using your bright floppy disks.